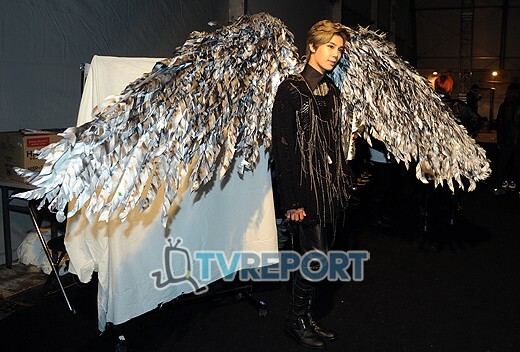 He was the runway model chosen for 'Dominic's Way' for this year 2012 Seoul Fashion Week F/W. The theme is angel. This is quoted from article. 박정민은, "천사가 되어서 기분좋았다. 즐거운 작업이었다. 기회가 되면 다음에도 런웨이에 서고 싶다"고 소감을 피력했다. 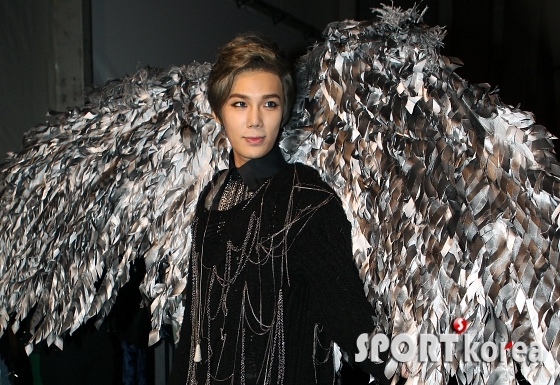 english: Park Jung-min shared his thoughts, "I'm very delighted to have turned into an angel. It was a happy experience carried out. Should there be another chance, I'd like to strut down the runway next time again". [SS포토]SS501 박정민, "게임속에 나오는 천사캐릭터 같죠"
[T포토] 박정민 "제 날개 어때요?"